All teachers - primary, secondary, tertiary. 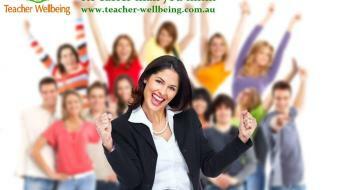 Teacher wellbeing has a direct impact on student achievement. Given teacher stress is ever increasing it is crucial to give teachers tools to better manage stress, be solution-focussed thinkers and strategies that support them in managing time, relationships and work-life balance. This workshop gives you the tools you need to reignite, restore and re-inspire your love of teaching. All teachers – primary, secondary, tertiary. In this session we explore the concept of perspective and the coaching principle of reframing with questions. We explore the theory of coaching psychology and practice questioning frameworks that have proven results in both business and education such as Whitmores GROW Model. Here we also play some interactive games that highlight key concepts in communication and enable participant to become active learners of their own reflection. In this final session, we explore the foundations of Positive Psychology by looking at character strengths and how to use them in the classroom. We finish by looking at what is working well and make a plan for how we can best support our own wellbeing at work based on Seligmans PERMA model of wellbeing. We conclude the day by sharing our action plans for either supporting ourselves, other staff or planning for student wellbeing. Do remember to bring a pen with you. Very good strategies for positive thinking & building positive relationships. Also great for awareness of self. Engaging, well-informed & useful. Well being of teachers needs to be dealt with before student well being can be effectively dealt with. Very informative, lots of practical tips & techniques to increase well being. The course was very practical and inspirational. I will be able to implement many of the strategies with my faculty and the staff. Thank you. This workshop helps change the mindset of hardworking teachers and focus on the more rewarding aspects such as what we do well as a profession. Realistic strategies to apply to everyday life – especially in school. A lot better than I thought it would be! Daniela knows her stuff and she presented the content in a logical and relatable manner. Being an ex-teacher helped Daniela link the content to teaching and what we do on a day-to-day basis. Outstanding, interesting & engaging course. I’d highly recommend it to others. It provides helpful tools and strategies to create positive conversations & classroom engagement and how to self care. The course is engaging, delivered in a positive, logical and cohesive manner. Excellent course that all teachers owe themselves to do in order to ensure their wellbeing & effectiveness in a school environment. Great information to take away and try. Would love to learn more from Daniela. The course lived up to and exceeded expectations. I got a lot out of the day. Lots of worthwhile ideas and new ways of seeing things. Awesome! Very positive and useful. Thank you! Daniela is very enthusiastic, helpful and a knowledgeable presenter. Daniela was an enthusiastic presenter with a variety of sources and strategies to encourage Teacher Wellbeing. The content was interesting and the presentation was flawless. Some good strategies and honest advice. Greatest inservice I have ever been to. We need more of Daniela around! 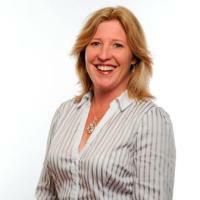 Daniela is an astute and highly engaging presenter who delivers complex, detailed information in a hugely accessible manner. Daniela speaks and delivers information in a mindful way that allows us to learn about ourselves as individuals and as professionals.